Your hair is more than likely growing, unless there is some underlying medical condition. If so, seek medical advice. Your hair may be breaking off as fast as it is growing. There are so many reasons why you are not retaining length, or your hair is breaking. I have not had a perfect journey, there were times when I felt like my hair was breaking, and I was not retaining the length, I wanted to retain. Below is the method I created to examine my hair regimen. How does your hair absorb moisture? Is your product just sitting on top of your hair? Is your hair just soaking up moisture as fast as you add it? Are you able to get moisture into the hair? This just became really important to me. I never knew how important it was, until I tested my porosity, and was able to truly understand how my hair absorbs and retains moisture. I have low porosity hair: This means that my hair cuticles are closed tightly, and it makes it harder for moisture to get in. Products and moisture can sit on top of the hair instead of being absorbed. I always wondered why my hair took 24 hours to completely dry. This is also why my hair started to retain length once I started doing consistent deep conditioning/hot oil treatments. I use heat for my treatments, and heat helps to open the hair cuticles so that it absorbs the moisture and product. How often do you moisturize your hair? How often do you NEED to moisturize your hair? What do you use to moisturize your hair? How do you seal in moisture? So, again porosity is going to be important when determining how you moisturize and seal. For years before I knew my porosity, I found myself moisturizing every day. I would spritz my hair with water and then seal with an oil or a leave in. Now that I know my porosity I limit moisturizing to only 1-2 times a week. What I have found is that my hair stays clean and my styles last longer. I never understood why my hair got weighed down so fast until I learned that I had low porosity hair, and most of the product I was adding daily was just sitting on top of my hair. If you have high porosity hair, you are going to find yourself needing to moisturize a little more, but also layering on thicker products to seal that moisture in. What products could be affecting your hair? (make a list of the products you are currently using)Have you changed products recently? Are you using any chemicals including color, relaxers, etc.? How effective are your products? When it comes to products, I always try to keep it simple. This way, I always know what could be affecting my hair. When I switched products once in my journey for about a few months, I instantly noticed a difference. My hair was a lot drier than normal, and harder to detangle on wash day. I instantly switched back to my normal products. I don’t use any chemical on my hair, because due to past experience my hair broke off, and I was not able to retain length. How often are you styling? What kind of styling are you doing? What kind of styling tools do you use, heat, wide tooth comb, brush, etc. Do you use heat? How often? How do you protect your hair during heat styling? When it comes to styling for me low manipulation and protective styling is key. After my second year and into my third year I wore mostly two strand twist. I am not saying you have to wear twist to retain length, but it was something that kept me disciplined and really kept my hands out of my hair. It was also helpful for those times I didn’t know what to do with my hair. I was able to retain the most length during this time in my journey. When it comes to combing, I do like to finger comb. I find that I lose less hair during the process, but after finger combing I like to use a wide tooth comb to smooth the hair down. I always detangle my curly hair when it is wet only. Detangling is very important when trying to retain length, because that is when a lot of naturals lose, break, or rip out their hair. I do use heat on my hair, but my normal regimen is only once a month. I blow dry my hair as a normal part of my regimen. I’ve only flat ironed my hair once during my natural hair journey, but maybe more in the future. Using heat makes my hair more manageable for my lifestyle, and I love it, but I do understand the risk that comes with the use of heat. I always blow dry my hair when it is freshly washed. I do a deep conditioning/hot oil treatment adding moisture into the hair, because heat pulls out moisture. I also do a protein treatment to strengthen the strands of my hair. How often do you wash your hair? How often do you NEED to wash your hair? Do you use shampoo? How does the shampoo affect your hair? Do you co wash? How does co washing affect your hair? I cleanse my hair every 2-4 weeks. In the beginning it was weekly, but the longer my hair has gotten and the further I am in my journey, certain things in my regimen have changed. In the beginning it was more about following a routine, because I was looking for certain results. Now, it is more about doing only what I need, so that it does not become overwhelming. I use to conditioner wash, when I was washing weekly. Now, that I wait so long in between washes, I feel my hair benefits more from a good shampoo. I find now that my hair does not feel dry and brittle after a shampoo. I also make sure to mix in a little conditioner during the shampoo. After my shampoo I do my deep conditioning/hot oil treatments. This adds back any moisture that was lost during my shampoo process. When my hair is not properly shampooed and cleansed it starts to feel rough, and styling is almost impossible. These are things that can lead to breakage. Do you condition your hair? What type of conditioner do you use? Do you deep condition your hair? How does your hair feel after your conditioning routine? How often are you conditioning your hair? Conditioning is a must for me. I ALWAYS do a deep conditioning after I shampoo or wash my hair. Deep conditioning over time has made my hair soft, manageable, and also has given my hair a beautiful shine. I use a moisturizing conditioner, Herbal Essence. There are also conditioners that have protein if you need it, which would be great for high porosity hair. For my deep conditioning I use my regular rinse out conditioner, Herbal Essence Hello Hydration, and I mix it with my extra virgin olive oil. Then I sit under the dryer with a plastic cap/bag on for about 15-30 minutes. Conditioning is very important to my hair regimen. It refreshes and strengthens the oldest part of the hair and also minimizes breakage and excessive shedding. Do you trim your hair? Do you do your own trimming or do you go to a professional? How much are you trimming? How often are you trimming? What are you trimming your hair with? Why do you trim your hair? How do you know your hair needs to be trimmed? Trimming for me is Important, especially because I use heat regularly in my regimen. Heat can dry out and cause split ends. My ends are not horrible, but I like to make sure I take care of them. I trim my own ends with hair shears. It is important to not cut with regular scissors, because they are usually dull and can cause more damage to the ends of your hair. I trim my hair every 6 months, so that is usually about twice a year. I only trim when needed. My hair grows about ½ an inch a month, so trimming monthly would definitely be an issue for length retention. I usually trim about ½ – 2 inches of hair. I know that my ends need trimming when they start to feel rough or I notice more shedding than usual. Make sure to check every part of your regimen. Ask yourself questions to figure out how the different processes benefit or hurt the health of your hair. You are basically dissecting your regimen to find and figure out what is and isn’t working for your hair care regimen. You can create your own questions or use the ones above from my process. Again these are the things that I do to improve and stay consistent with my hair care. This comes in handy when you are noticing changes with your hair, breakage, etc. Hi I love your blog, I’m at the trasition to be natural and is too dificult to me that my hair grow up, I dont know what products use. My suggestion would be to do porosity test. I have been really big on testing hair porosity later, because it really helps when deciding what to do to make sure the hair is moisturized properly. To test your porosity fill a cup full of water. Pull one hair strand from your scalp. Make sure that the hair has the white bulb on the end. Take the hair and dip it into the water. Then lay it gently on top of the water and see how fast it sinks to the bottom. If it sinks fast, you have high porosity, if it sinks slow or doesn’t sink at all low porosity hair. I have low porosity, so warm water or heat is my best friend. I have to stay consistent with my hot oil treatment routine, because it allows me to get moisture into the hair by using heat to open up my cuticles. High porosity hair soaks up moisture quickly and gets dry really fast. You may need to layer products, stick with thick butters and leave ins. I am so glad you wrote this article. I was listening to a lot of the people talking about using the LOC method daily to keep hair moisturized. I tried doing that, but it was not working for me. The products just set on my hair and everything was getting oily; my glasses, face, and pillow cases, ugh. I did a porosity test and found out that I have low porosity hair, but no one was saying what to do with that type of hair, until now. I love you for sharing this. Now I will try what you mentioned above to see how it works for my hair. Thank you soooo much! What is a good hair regimen for fine hair. I will do the test on my hair and see how I come out. I will be three years old natural and my hair is not even shoulder length. All i do is wear a ponytail because I don’t like my hair. Its becoming disappointing because i don’t have length nor healthy hair. Help!!!! I just test my hair and is low porosity. If I understand, I don’t have to moisturize my hair with water and seal it after everyday. What should I do then? so, you wash your hair first and then you do the hot oil treatment. do you wash it again after? If I was you I would start with learning how your hair absorbs moisture. This will help you choosing products and even how often your wash or moisturize your hair. I wish I could outline a regimen for you, but the truth is there are no rules to this journey and definitely one size doesn’t fit all. I recommend experimenting with your hair to find what your hair likes and doesn’t like. My only recommendation is to keep it simple as possible. Another question after you use the warm water to moisturized do you have to use an acidic product to seal the cuticle up? My hair breaks a lot and hopefully it will stop. After I moisturize with water I usually seal with my leave in conditioner. You can put your leave in conditioner in the refrigerator so that it gets cool if you want to make sure your cuticles lay back down. The cool temperature will close them. I came across this page and was loving the advice you are giving. I have been natural for a year and my hair is slowly growing; I am trying different products some I like some I don’t. What would be the best way to wash and moisturize two strand twists because that is what I will be wearing for a while as well as what to put on my ends. I am still new to the natural family. Thanks. Naptural85 has a great method that she uses with a stocking. Thank you so much for your article on low porosity hair. I have been all natural for just about a year now and I find that my hair is still very dry, especially on the ends a day after moisturizing. I am going to try co-washing then the hot-oil treatment and then deep conditioning. Is deep conditioning once a week too much? If I put a little baking soda in my spritz bottle with water and my leave-in conditioner will it help to open my cuticles? Since shea butter, evoo, and coconut oils only sit on my hair and make it oily, what oil should I use and can I use a hair butter to seal in the moisture? Many thanks for any help you can give me in trying to keep my hair moisturized and not dry and frizzy. Deep conditioning weekly is great! Hi, I’m french so sorry for my bad english but I would like to know, to moisturize my hair can put water and oil on it then use a hairdryer to open my cuticules because I have low porosity hair? I really don’t how to open my cuticules to moisturize my low porosity hair. What can i do? You described my hair to the tee. I was moisturizing daily and suffering breakage, until I started dc with heat, now I can let my hair go for days because I also wear a bun when needed. I don’t really like protective styling and my hair is already extremely long, so I don’t really mind if I have to trim a little because I have to get all the breakage out anyway and I can always grow it longer after trimming for a while. I really felt like a slave to protective styling before I knew I had low po hair and I resent having to hide my hair so much. I wear a bun for housework, if I’m busy, or at night when sleeping. I usually tuck it away early evening and it stays that way for a while. But when I am out walking even, or even going shopping, I don’t want to feel I have to wear a bun. Hi. I’m trying to understand the process of co-washing. Do I co-wash and do a deep-conditioner or do I shampoo then co-wash? That is one way you can do it. I will tell you what has been working for me. If it is a day in between washing and conditioning, like 2nd or 3rd day hair, I spray warm water on my hair, and run my fingers thru in sections to remove tangles. I separate any tangles with my hands. Then I either warm up my leave-in in the stove (I do not and refuse to use a microwave) or I put it on and then put on my heat cap or hold a diffuser a few inches away from my hair with a plastic cap over my head. You could also use a hooded dryer but I do not have one. You could put a cap over your head and when you take your morning shower, run hot water and that will create steam in your bathroom. Of course, you want to close your door and turn the fan on and open the window when you are done. After getting a warm leave-in on your hair, you can seal with cold aloe Vera juice. Then if you want you could put a gel on top to help define your curls better and control frizz. I will often do that and apply a light oil like Argan oil on top of the gel. Due to where I live, my hair will only stay moisturized if I use products with glycerin. Azure leave-in is weightless and contains all the good stuff that Shea Moisture Curl Enhancing Smoothie has, but without the weight. I might use the smoothie for the first day or so after washing because I often shampoo my hair to remove the grimy product, and my hair gets dry. But no matter what after a few days I have to back down to a lighter leave-in but one with humectants and penetrating oils that have some moisturizing ability. I have had some many issues with my daughters natural hair process. As of today she has been natural for about 4 years and counting and her hair has not grown an inch. Her hair feels like a hard sponge and every type of grease I add to her hair its gone in 24 hours. I keep it braided and now I’m to the point of no return with anything less than that. All of her edges has broken off from the front all the way to the back of her head.I’m screaming from the inside because she’s a beautiful little girl inside and out but children are mean and cruel. She’s at this self-image stage now and I don’t want her to get discouraged or worried about her hair not growing or looking healthy. What information can you give to me and others regarding hair that just want grow or looks as if there is no hope? I have a question for you…first the obvious. How often do you cut her hair? I know everyone says split ends are wicked but trust me I was raised by a single father for years. He never got my ends cut and my hair just kept growing and growing. If you obsess over perfect hair it will stay short…for some ppl. Not everyone can have split free hair. Period. I have tried a number of times. Genetics play a major role in how well your hair responds to stress. But while my hair is not split free, it is hip length! The other question is on diet. How much meat does she eat? I am not trying to offend vegetarians. I am just stating my personal experience. It used to be my hair was long, but it seemed to stop at a certain point. Come the Paleo Diet, my hair has no stopping point. Our bodies need a certain amount of fat, especially as children. I never even put my kids on any low fat diets. That is a bunch of fallacy! Increase her omega 3’s, iron, protein, etc. Of course, work with a doctor so that you are doing it safely. A naturopath might be able to help…although some of them are vegans and I do not believe that is appropriate for kids. If you join a Weston A Price forum in your area, you can find a paleo friendly naturopath. Hey and thanks for the quick response. Ok I just started cutting her hair and how I do that is twisting it up into two strand twist and cutting the ends that are straight and thin. So I really don’t know what’s a perfect strand for hair and what’s not. And to answer your question about meat, I must say she is not the average 11 year old she kind of petite (but hippy) and almost ALWAYS eat only meat. There is no body fat to be in concern. Her diet is so bland with no sauces or dressings and she loves it. I also forgot to mention that she wants to start taking the hair, skin and nails gummies which I haven’t decided on that yet. But we would almost try anything. Hi! I am not the blog author these are just my opinions. My reference is that I have long hair, although my hair is more 3a to b. I know that grass fed meat is healthier than store bought, but if money is an issue you can buy conventional meat, trim the fat, and give her fats from olive oil, coconut oil, etc. It is important to get some healthy animal fats though and that is why I recommend grass fed meat because it is both ok and healthy to eat the fat. Most vitamins are fat soluble so if you only eat lean meat that can cause nutritional deficiencies. You do need the fat, you just have to get it from a humane source. You can learn more about this by googling Weston A Price. I recommend Dr. Ron’s Next Generation Multivitamin. Also take some flax oil, eat fish, like sardines and wild salmon (not farmed). This is actually not my site but I saw your question in my notifications and my heart went out to you. I strongly recommend working with a Naturopath because natural doctors can get to the bottom of health issues to see if there is a physical health problem hampering hair growth. I truly believe though that for curly hair it boils down to how you detangle, how you moisturize and most of all…nutrition! Get on board with a local weston a price group for more nutrition info! Finally, have you tried homeschooling or getting another family to do it? She could learn at home and there are plenty of homeschooling groups for weekly social activities. In my state there are activities every day, plus the library has activities. I say that because I would not want my child’s self esteem being damaged simply because she has a different grade of hair than they do. That is not healthy socializing at all. It could do her a world of good..
Tracking and ease of use are other advantages for companies using polls. Aim for 2% density, but never compromise the quality of your social media marketing blogs in the process. with the online marketers and hence it is important to highlight your profile in the crowd. can adjust the focus of your ads and public interaction in a way that most effectively interests them. Link your social media profile or blog with Linked – In to improve its marketing efficiency. you can set, but remember the default settings aren’t always the best settings. how they could benefit by using their product. However, consider this, suppose you were to write a awesome post title? to maybe grab folk’s attention? I mean Why Is My Hair Not Growing? 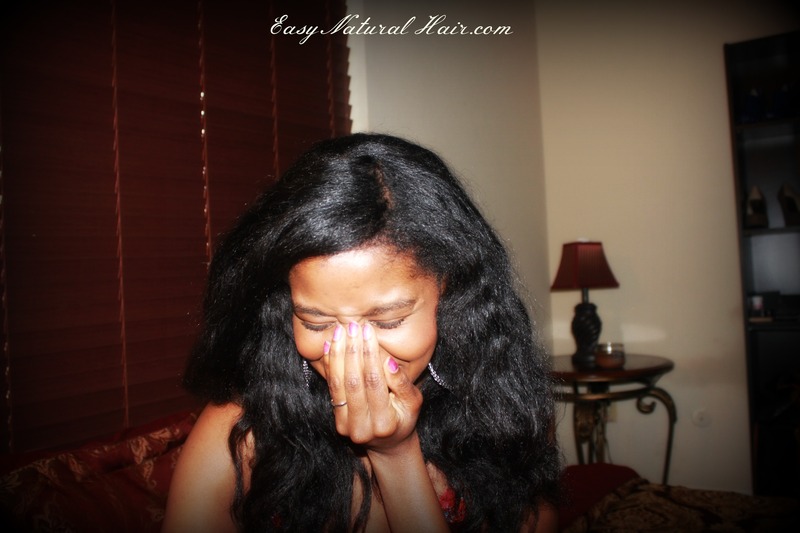 How I Examine My Hair Regimen | How To Take Care Of Natural Hair is kinda vanilla. to achieve a functional goal. It is normal to have slight bruising and swelling for about ten days.